Composition is the key element of the photography. Apart from practicing technical controls of the camera to achieve various effects, one has to learn to compose a scene before taking shots. Composing a scene means arranging different visual elements in the field of view for the shooting purpose, so that we have the desired placement of various elements in the final photograph. Experts who practiced arts centuries ago, realized few factors as strong guidelines for the composition of visual art. Let us take a trip to an inspirational journey of “Rule of thirds” and “Golden Ratio” since their birth till date via their different states of evolution throughout history. Its better to know the basics of “Rule of Thirds” and “Golden Ratio” here before knowing why are they so pleasing to human eyes. 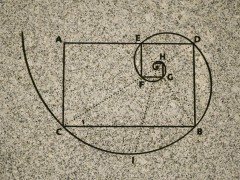 How Was The Golden Ratio Discovered? Golden ratio is a mathematical constant equals to 1.618 discovered by an Italian mathematician Leonardo Fibonacci around 1200 AD. It is the ratio of two division of one sole unit in such a proportion that the ratio of larger part to the smaller is accurately equal to the ratio of the sum of larger and smaller part of the unit concerned to the larger part. He found that the golden ratio has existed in nature since the beginning; that is why it is also known as the “divine proportion”. It’s all around us, let us find the golden ratio or the divine proportion in human body for instance. Why is the golden ratio aesthetically pleasing to human eye? Because the golden ratio is so abundantly visible in nature. The rhythmic pumping of ventricles in the human heart is at the golden ratio to one complete pumping cycle of all four chambers of the heart. You must have noticed many times that the length of the legs (waist to foot) to the whole human body is at golden ratio. Even the length of your fingers and palm is in golden ratio. The length of face to the width of face, length of front left handed teeth (incisor) is to the left handed canine teeth, from waist to knee and knee to foot, are all in golden ratio. Moreover snail shell (golden spiral), division of pitch of DNA spiral diameter are all proportionate in the golden ratio. Golden spirals, triangles and other such geometrical shapes are all the derivations of golden ratio. It is very significant and highly applicable in modern technological construction today. It is greatly implemented in architectures, web designing, logo designing, etc. Many great companies like Apple, and other Fortune 500, even sales companies are implementing the concept of golden ratio. 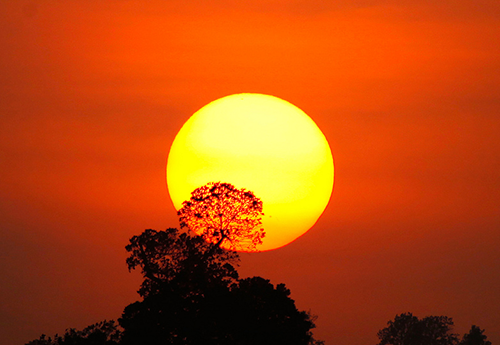 Because it has existed in the nature in a divine manner, we the humans have subconsciously gotten used to it. Rule Of Thirds? Or Is It An Expanded Form of Golden Ratio? Rule of thirds is the another important rule of photography composition, which cannot be left in sands. When we expand the golden ratio division of the frame from all of its four sides, what we come up with is somewhat similar to rule of third known as Fibonacci grid. Is there really a noticeable difference between the two? How does it matter if you place the subject in either of the two? In the image below golden ratio from all four sides are shown in green lines and rule of thirds in red lines, where as the blue rectangle reflects the difference between the two. Thus, it can be seen as a natural advancement of golden ratio, however it has its own incredible history. In the book “Remarks on Rural Scenery”, author John Thomas Smith in 1797 quoted a work by Sir Joshua Reynolds in 1783, and discussed the balance of shadows and highlights in the painting. Joshua believed the distribution of warm colors to cold colors in the painting or any other work of art, should be done in the proportion of two-third or one-third of the entire frame. Smith then expanded the idea and named it “the rule of thirds”. Both rules divide the frame into 9 parts, the only difference is that in the rule of thirds, the frame is divided into 9 equal parts. Thus it may be considered another ratio derived from the golden ratio. Which Is The Best Rule? Portrait Photography: The application of golden rule in composing a photography scene is best implemented when shooting portraits. Place the subject (or the most interested area) on the lines dividing the frame into golden ratio either horizontally, vertically or diagonally. You will see this in many portrait photos. The face of the subject in a portrait is usually placed in the golden spiral which is again a derivative of golden ratio. 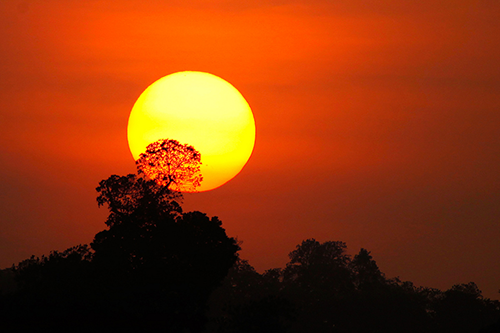 Landscape Photography: When shooting landscapes/natural scenery, it is preferable to fill one-third of the full frame with land, one-third with water and remaining one-third with the sky. When placing a subject in landscape photography, power points (intersection points) can be used to place most interested area of the photo, and vertical lines can be used to have 2nd most interesting realm of the scene. If there are only two elements (or planes like sky and land), place the more important (or the subject) in the 2/3 and the rest in 1/3rd of the frame. While we are talking about these two rules let’s remember the thumb-rule: the rules are meant to be broken. A rule lets you play safe but ultimately it’s your own experience and creativity that will set your work apart. In-spite of having an eternal history of existence of golden ratio in the nature justifying that the implementation of these rules are attractive to the human eyes, you can yourself check the two photographs above and submit your comments as to why the second one is more alluring to your sub-conscious. Or is it at all? 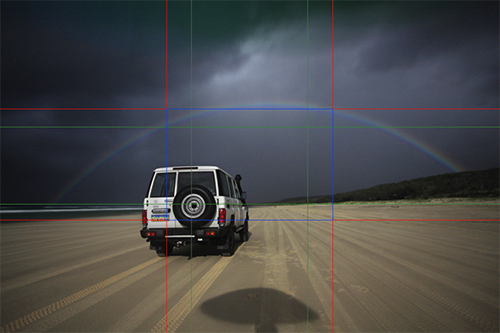 Rule-of-thirds or the golden ratio? Is one even distinguishable from the other?